Craig Silverman (@CraigSilverman) is the editor of BuzzFeed Canada and the founder of Emergent.info, a real-time rumor tracker that was developed as part a fellowship with the Tow Center for Digital Journalism at Columbia University. His work resulted in the Tow report, "Lies, Damn Lies and Viral Content: How News Websites Spread (and Debunk) Online Rumors, Unverified Claims and Misinformation." Craig also founded Regret the Error, a blog about media accuracy and the discipline of verification. It’s now part of the Poynter Institute for Media Studies, where he serves as adjunct faculty. Prior to Poynter, he was editorial director and part of the team that launched OpenFile, an online news startup the delivered community-driven reporting in six Canadian cities. 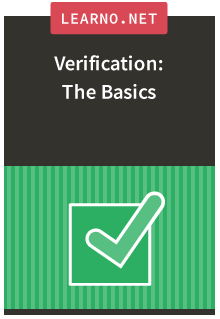 Craig edited the Verification Handbook and the Verification Handbook For Investigative Journalism from the European Journalism Center. He is a the former managing editor of PBS MediaShift and has been a columnist for The Globe And Mail, Toronto Star, and Columbia Journalism Review. His journalism and books have been honored by the Mirror Awards, National Press Club, National Magazine Awards (Canada), Canadian Online Publishing Awards, and Crime Writers of Canada.